Crafting vibrant user experiences across multiple mediums for Ireland's most innovative delivery service. 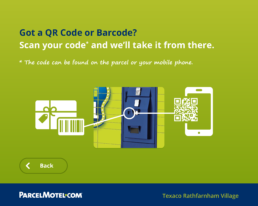 Created by Nightline for the vibrant online retail market, Parcel Motel is a network of state-of-the-art self-service parcel terminals located across the country. 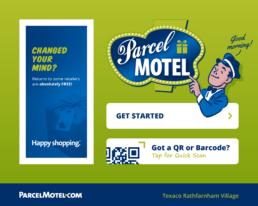 Nightline tasked us with refreshing the look and feel of the Parcel Motel branding, as well as the design and development of a fully-featured responsive website to reflect the new style. 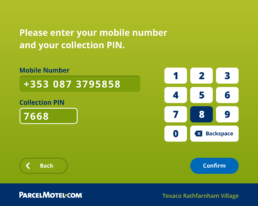 Working across print, online, product and environments, we created digital interfaces and environmental graphics for updated locker models, as well as striking van livery, marketing and promotional materials and much, much more.